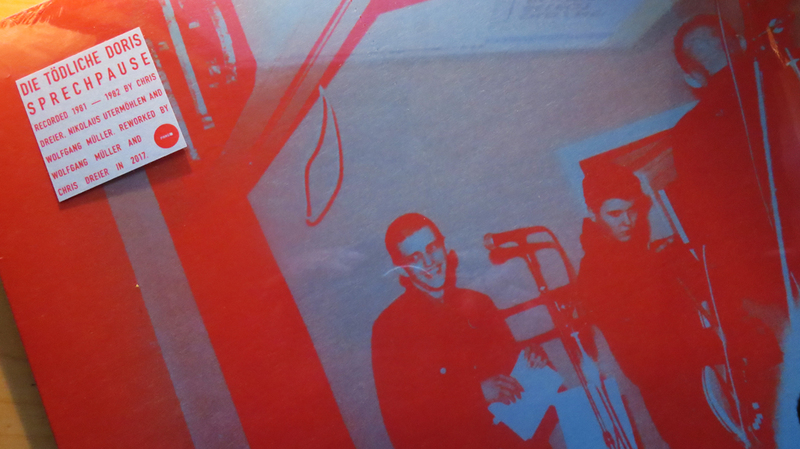 Side A contains five “pause music” tracks. 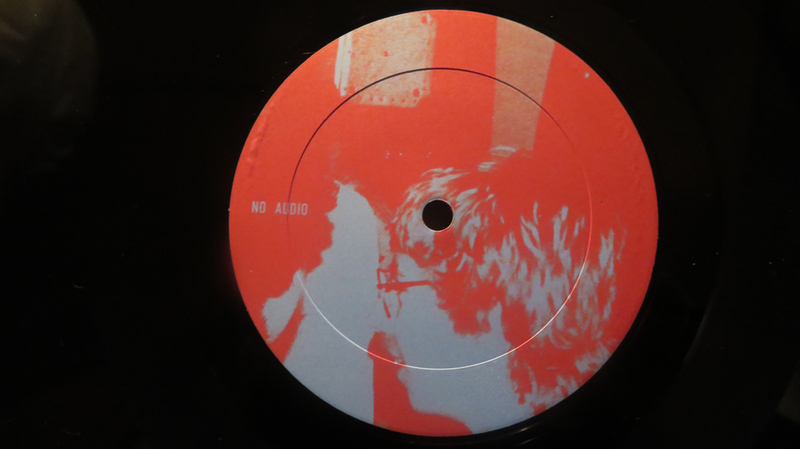 Side B contains three tracks: B1+3 with constant white noise. B2 is a silent track. 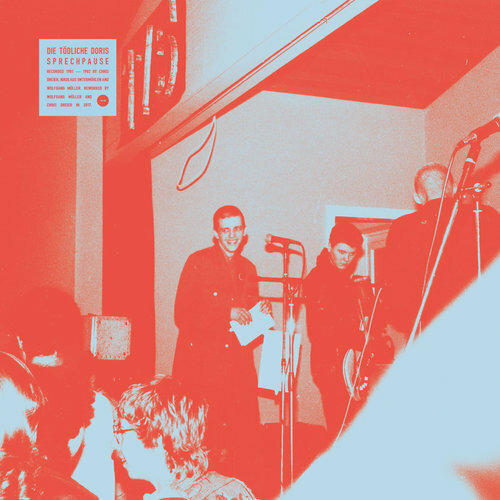 Recorded from 1981-1982, first released in 2017. 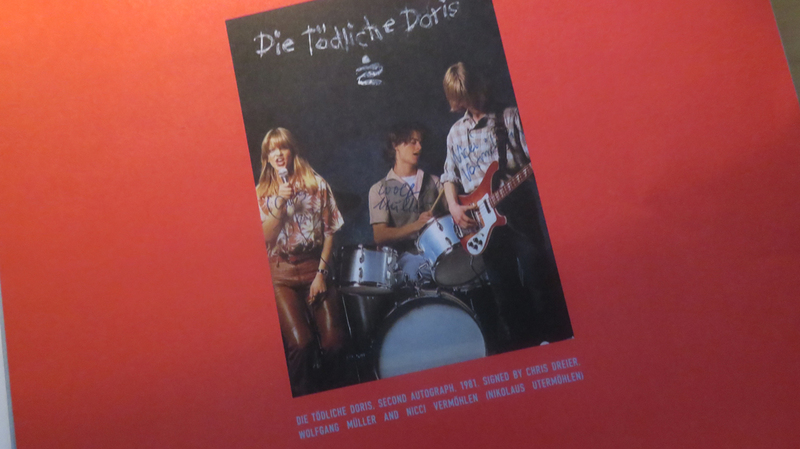 ““In der Pause” (During the Pause) was the title of the last track on the b-side of “ “, the first album by Die Tödliche Doris. 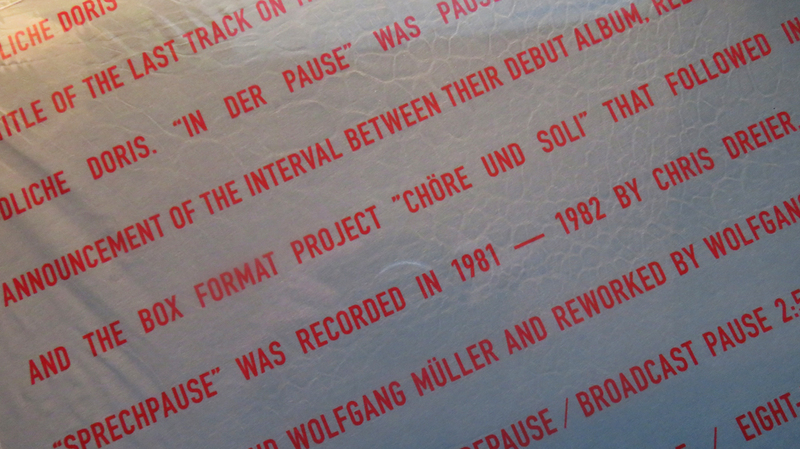 “In der Pause” was pause music, as well as the announcement of the interval between their debut album, released in 1982, and the box format project ”Chöre und Soli” that followed in 1983. The original sounds of “In der Pause” survived on a single audio tape dating from 1981. Now, about 35 years later, Chris Dreier and Wolfgang Müller have used the material recorded on the audio tape as the source for five new tracks of pause music. 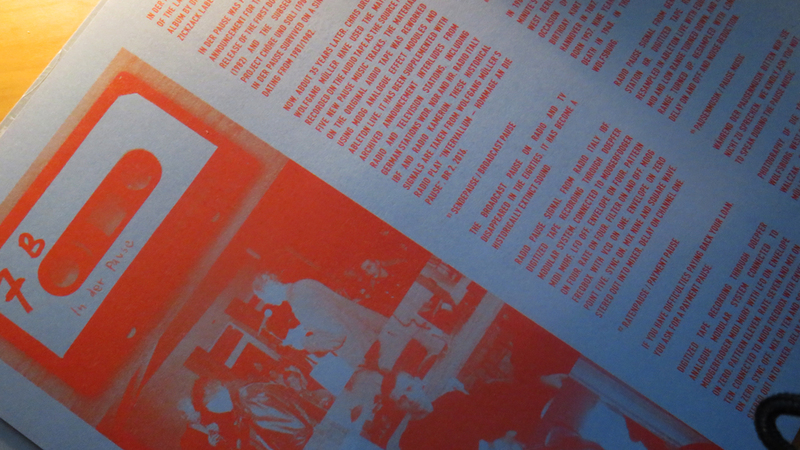 The material on the original audio tape has was reworked using Moog analogue effect modules and Ableton Live. It has been supplemented with archived announcement interludes from radio and television stations, including German stations WDR, NDR and HR, Radio Italy IBF and Radio Kamerun.